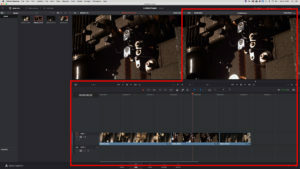 In our previous lesson of our look at learning BlackMagic Design’s DaVinci Resolve, we took a look at adding Markers to the footage in our Media Pool, so we can find what we need faster. 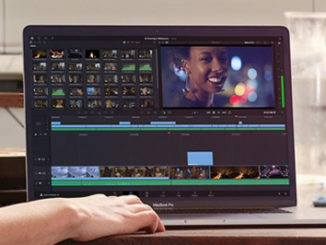 In this lesson, we’re going to move on and take an overview look at the Edit Module in Resolve and what, exactly, each of the panels actually do. 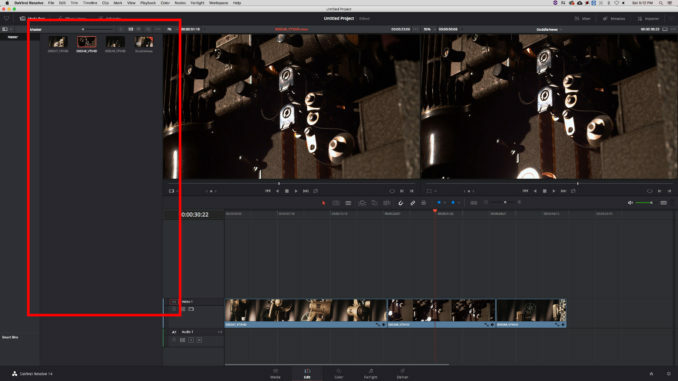 To access the Edit module in DaVinci Resolve, much like the other modules in Resolve (Media, Color, Fairlight and Deliver), click on the tab at the bottom of the Resolve interface. Once there, you’ll notice a fairly common layout. On the left side of your screen you will, primarily, have access to the Media Pool, containing all your bins and clips. This is where you can choose which clips you want to preview, before dropping them into your timeline(s). Double clicking on a clip will display it in the Preview window. 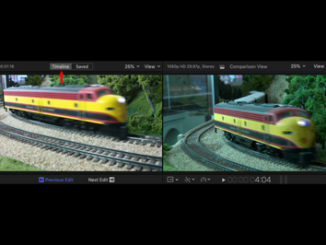 The left of the two display windows at the top of the interface. This is where you can add In/Out points, and choose which tracks (video or audio), you want edited into your timeline. The DaVinci Resolve Timeline window (right window) and the Timeline (bottom) go hand in hand together. It’s where you are going to craft your piece, and all the editorial decisions you make by dropping clips into your timelines, can be viewed in this window, by either playing or dragging through your timeline(s). Don’t worry if this introductory look at the different interface windows seemed brief. It was supposed to be. We’re going to get much more in-depth into these windows, and all the tools that go along with them, as we move through our different lessons. In our next lesson, we’re going to do some very basic editing, to get footage into our timeline. Canon to Sell APS-H Sensor, Could Custom Cameras Be in Our Future?